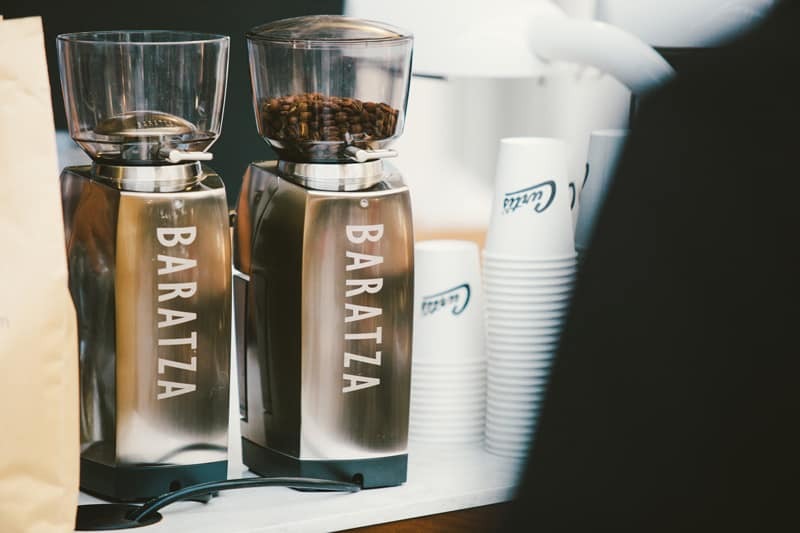 Home » Baratza Forte vs Mazzer Mini Grinder Comparison: Which is Best? 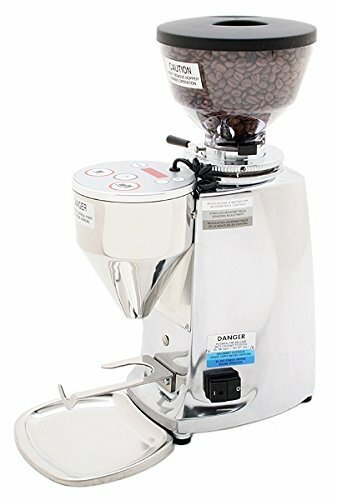 Baratza Forte vs Mazzer Mini Grinder Comparison: Which is Best? When it comes to the Baratza Forte vs Mazzer Mini Grinder, which one is right for you and your coffee-drinking habits? There are some similarities between the two models, but they’re vastly different in some ways, too. How Does It Look and Feel to Use It? The Baratza Forte is available in two models, the AP (All Purpose) and the BG (Brew Grinder). You can grind beans for espresso, drip coffee, pour overs, or a French press with the AP model, but the BG model is best at French press, b, and pour overs. Because the Mazzer Mini Grinder is able to create a wider variety of grinds, from fine to coarse, I’m only comparing the Mazzer Mini to the Forte AP in this review. Comparing the BG to the Mazzer Mini would mean a comparison between one grinder that excels at finely ground coffee meant for espresso machines and another that does well with coarser grounds used for pour-overs, French presses, etc. That would be an apples-to-oranges situation. It does more (fine to coarse grinds) than more specialized grinders (AP only, remember). You can grind coffee straight into a portafilter if you’re making espresso. Ceramic burrs make a consistent grind and tend to be cooler than steel burrs. They are also great for espresso coffee blends. Dosing by weight or time is possible. The touchscreen looks nice and makes it easy to use. There are macro and micro adjustment settings, which give you a lot of control. It’s made of all metal. It’s versatile and can be used in a home, work, or even small restaurant settings. Shopping for one is a fairly straightforward experience—do you want the All Purpose or the Brew Grind model? Price. While this isn’t the most expensive option, it’s still close to $1000.00. You’ll probably have to shop online for this. This may not be a con for everyone, but it’s worth mentioning that it could prove difficult for a majority of the population to ever find this in a brick and mortar store. The Mazzer Mini Grinder is called an espresso grinder. Specifically, it’s a “home espresso grinder” that has flat steel burrs and a stepless grind adjust. The price is between about $700.00 and just over $1000.00, depending on the model you choose. As with the Baratza Forte, there is more than one type of Mazzer Mini. There’s the Mazzer Mini Flat Burr Espresso Grinder Mazzer Mini Flat Burr Espresso Grinder, the Type A, and the Type B. The Mazzer Mini is smaller (58mm) and has a physical doser on the front. Types A and B are extremely similar in size (64mm), price, and performance. Type A is a timed dosing model. Type B is a tap-to-grind model. With A, time controls how much comes out (single or double, or you just hold a button and go as long as you’d like) electronically. You can also set the timer on the top. With B, you tap a button with the portafilter one or two times (single or double), and you make changes to the dosing near that button with a screwdriver. Other than those differences between the A and B, the two models are essentially the same. 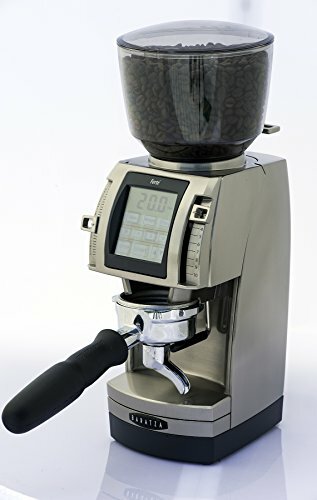 For the sake of this review, I’ll just be referring to the Mazzer Mini in general since they’re all extremely similar unless otherwise noted. If you decide this is the one for you, you’ll just need to choose which style you prefer. Quick tip: If you find that you want a Mazzer Mini Type A or Type B but the height won’t work for you, there is another, smaller hopper available that does not come with a lid. Some people purchase this so it’ll fit under their cabinets on the counter. You’ll still have to purchase the machine with the taller hopper and then use its accessories on the smaller one. The stepless grinder model (which applies to all of the Mazzer Mini machines) does not have numbers to click to in order to get the grind just right. It turns smoothly and does not click as you turn the dial. This may sound like a scary concept, but it gives you more control over how finely ground your espresso will be. You get a lot of control. It’s fairly intuitive to use. It holds a lot of beans, so you can easily make several drinks in a row. It’s a big machine but there are options available to make it fit under your cabinets. You get choices in how the dosing works. Steel burrs, though not exactly considered better than ceramic burrs for espresso flavor, will contribute to more uniformity in particle size and less dust (which means they help prevent leftover particles that can get stuck). Maybe too much for the average user since it’s capable of grinding so much espresso at once. It’s large, and if you don’t want to buy a separate bean hopper, may be too large for your counter if you plan to house it under a cabinet. You don’t have steps or markers to allow you to easily find your place again if you change the settings. All of them are fairly expensive. You’ll probably be limited to shopping online for it, which may not be your first choice on an investment like this. Shopping for one may feel confusing since there’s the regular Mazzer Mini, the Type A, and the Type B. It can feel like a lot of information to hold in your mind at one time as you weigh the pros and cons of each as well as how they match up to your needs. They’re all commercial grade machines that are small enough for a coffee enthusiast’s kitchen counter. They’re not inexpensive by any means, but they’re not as expensive as other options on the market, either. They’re less than $1000.00, typically, which isn’t true for all commercial grinders. Which one wins? That’s a tricky question. When you’re shopping, you’ll see that the prices aren’t that different if you’re open to looking at several different stores. Because they’re both mostly limited to online stores anyway, comparing prices is that much easier. Really, what it boils down to is whether you intend to make more than espresso drinks. The Mazzer Mini grinder will limit you more in what you’re able to do. Some sources say you can branch out just a bit from the fine grind used for espresso, but that’s not what the machine was built to do and your mileage may vary if you try to use it for other brewing methods. The Baratza Forte AP is meant for any kind of brewing method, so you can make anything from espresso to a French press with ease, without wondering if the machine will be able to grind it just how you want it. As far as the steel vs. ceramic burrs comparison goes, that will mostly boil down to personal preference and how you like your coffee to taste. Ceramic burrs will lean toward complex flavor with the body, while steel burrs offer cleaner, simpler taste. Ceramic may be slightly better for espresso roasts. Steel tends to do well with single-origin coffees. Are the completely user-friendly interface and touchscreen important, or are you okay with needing to take some time to figure things out a little more (none are difficult to learn, but some users may prefer the touchscreen? How important are aesthetics? The sleek stainless steel of the Forte AP would be my personal choice. The Mini offers a few more options, though, and if you’re concerned with a grinder’s effect on your kitchen décor, this might be something to consider. 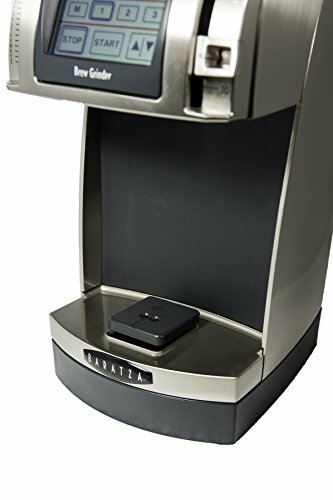 The Baratza Forte AP wins for me because of its versatility and speed. It also takes up less counter space and it’s lighter. The touchscreen is a plus for me, as well, since it looks nice and makes grinding the coffee a more intuitive process. The Mazzer Mini is a superstar in the espresso grinding department. Its grind is uniform, fine, and the machine doesn’t get clogged from leftover grounds that easily. If I knew I’d never need to make anything other than espresso with my new grinder, I would go with it. But because both machines are so expensive, I would prefer to go with the one that can do the most.